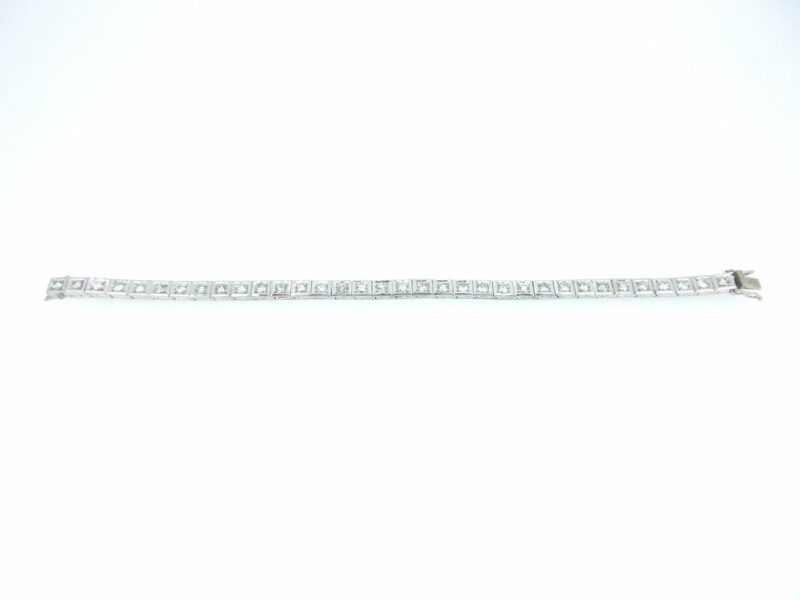 Vintage diamond & 14ct white gold line bracelet. 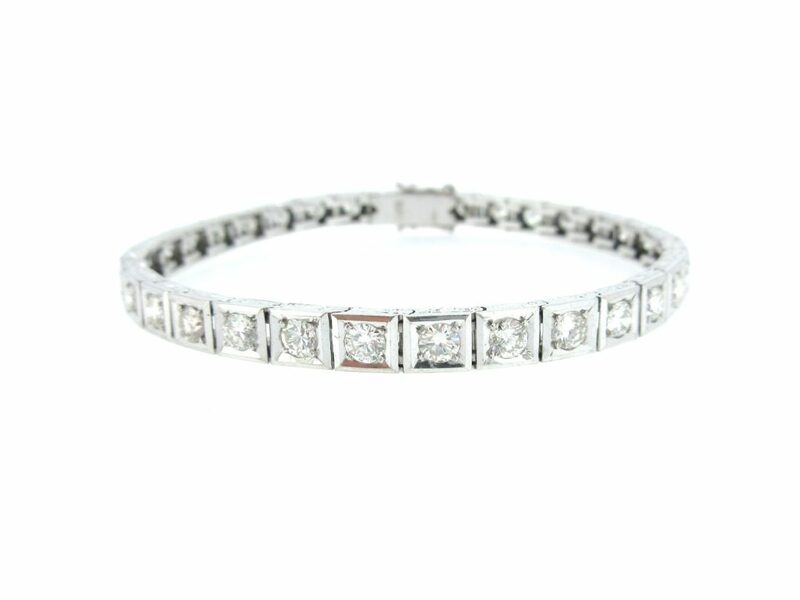 Thirty four square sections with a floral design engraved on each side & a round cut diamond in each section. 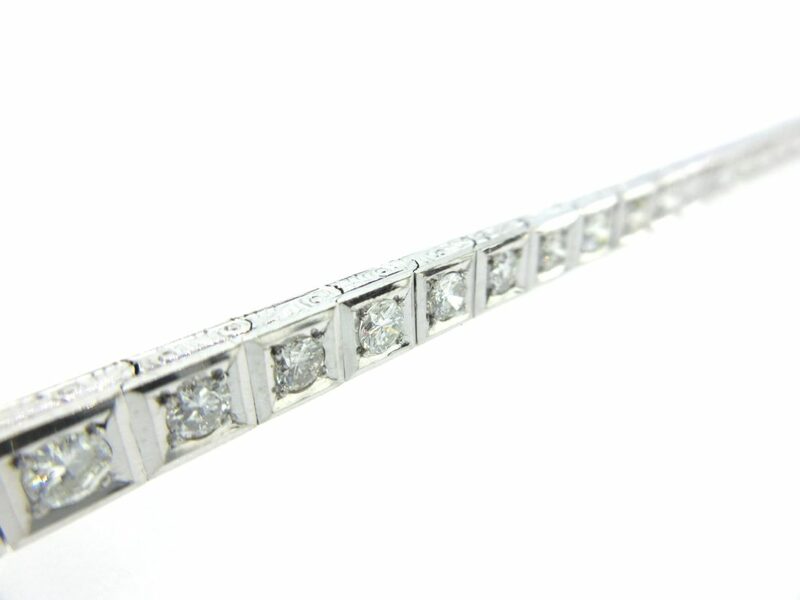 Each diamond is G/H colour and SI1 clarity. 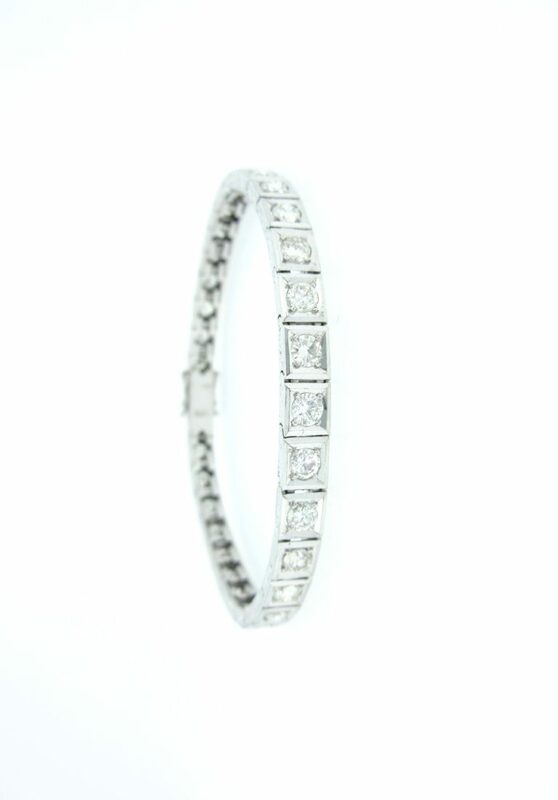 Total diamond quantity is 4.08cts.